King Stephen I. 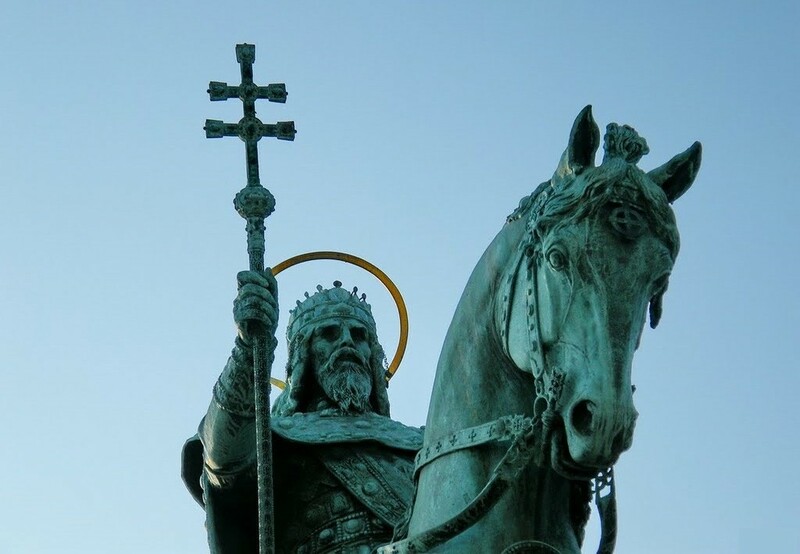 (Saint) was the first Christian king of Hungary, the founder of the Christian Hungarian State and the organizer of the Hungarian Christian Church. King St Stephen's father, Géza Grand Duke, recognized that the European integration of his people was possible only by the inclusion of Christianity, and that is why the transition from the pagan faith around the turn of the millennium began. His work, after his death, was continued by his legitimate heir, Istvan - his former pagan name was Vajk. 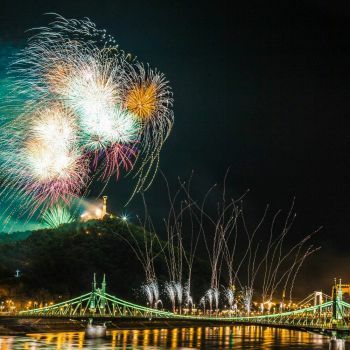 The exact time varies according to different sources, however, we know that sometimes around 1000 Christmas Eve or 1st of January, 1001, he was crowned in Esztergom. The crown was asked from the Pope, which meant the independence of the country and the establishment of the new Christian state under our patronage of the Roman Church. Then István laid the foundations of the Hungarian state and ecclesiastical organization, appointed the seat of the royal estates, the ruins of the castle, and founded the settlement system, issued the first Hungarian silver money, and issued its first law. He founded the Archbishopric of Esztergom and the bishopric, with Latin ritual order, but he also allowed the traditional Greek rituals. During his reign, he renewed the privileges of the Pannonhalma abbey, founded in 996, and founded Benedictine monasteries, which became literary workshops. Szent István celebrated the day of the Assumption Day on the 15th of August. At the end of his life, the sick king offered the country Virgin Mary on the very same day, and in 1038 he himself died that day too.